Official Trailer For FINALE Is Within! 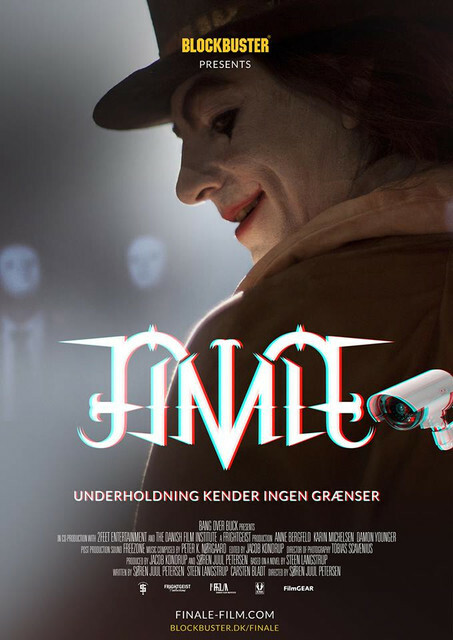 When a town is dead quite from the exciting big game that everyone seems to be watching, two women working a shift are put in a very dangerous and crazy situation in director Soren Juul Peterson's upcoming film titled FINALE. The film is based on a book by Steen Langstrup and the official trailer can be watched down below. FINALE stars Anne Bergfeld, Karin Michelsen, Damon Younger, Kristoffer Fabricius, Mads Koudal, Kim Sønderholm, and Gustav Scavenius. "Nationwide quietness. The streets are empty. Everyone’s glued to their screens at home, watching the final game. In the outskirts of Denmark, close to the German border, a small gas station needs to be open for service, even on this special night. Two young women have the shift. Ambitious Agnes is in the back room putting finishing touches on her thesis, while free-spirited Belinda is on her phone, hoping to get the attention of her boyfriend. Unfortunately, the shift is not going to be as uneventful as they think, because no customers also mean no witnesses, and the girls have been spotted to play a special part in a very different sort of game." FINALE has been released in Scandinavia by Blockbuster and will be released the rest of the world sometime this year.